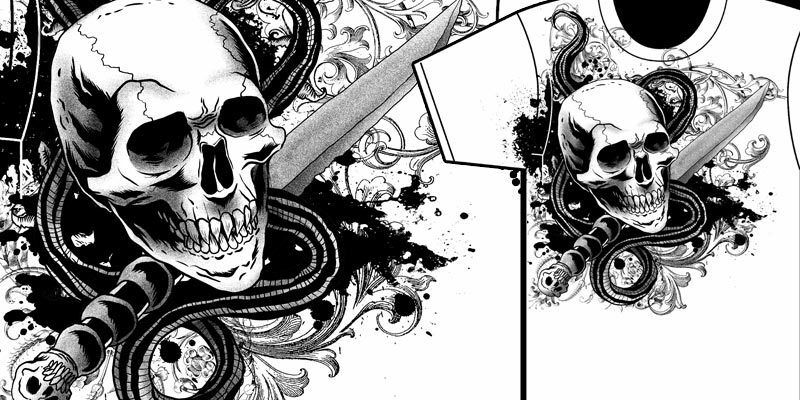 For some new metal tattoo shirt company. I was watching a movie last night, drinking a delicious Fin du Monde beer, and I pumped this out. Not super original, but appropriate for what they are looking for.